A sudden leak or a boiler breakdown can be a real headache for small businesses that don’t have a trusted plumber or heating engineer (who knows your system) on tap! And using the first or cheapest option in the directory is not usually the best option – rogue traders smell desperation, and will take advantage. Don’t go with the first free engineer you find – while most emergency plumbers may be legitimate, many may not be properly qualified and are past-masters at dragging the job out to maximise their income. Ask plenty of questions about what the job involves and how long it will take. Don’t just leave the trader to it but keep popping in on them to check on what they are doing) or delegate the task to someone else if you’re busy). Ask friends, family or other businesses for recommendations – preferably before you ever need to call anyone. Keep the numbers on your phone.  Seek out bona-fide trade organisations – most local authority websites have approved trader schemes where you can locate previously vetted Gas Safe engineers. You can also search for reputable tradesmen in England and Wales via the Association of Plumbing and Heating Contractors (APHC) and in Scotland and Northern Ireland through SNIPEF. Have the confidence to question or get a second opinion. Check if the tradesman has the right credentials to work on your appliances. Emergency repairs tend to cost more than your standard callout; the last thing you want is to straddle your business with an opportunist plumber! Take five minutes to think…before you act. https://chsystems.co.uk/wp-content/uploads/2018/04/CHSystems-logo-larger-space-1.jpg 0 0 MmAdm1n66a https://chsystems.co.uk/wp-content/uploads/2018/04/CHSystems-logo-larger-space-1.jpg MmAdm1n66a2016-01-29 14:30:182016-01-29 14:30:18How to find a good plumber – eight top tips!